The L1 repeater unit has an effective coverage area of 40 – 50 metres radius from the centre, when mounted at a height of 10 metres. The unit has a built-in antenna that radiates signal in a cone-shaped pattern within a 140 degree angle of view. Using the four moulded lugs, it can be mounted horizontally, for example on a ceiling, or vertically on a wall. All that is required is good line-of-sight between the repeater unit and the receiving devices. The external antenna feeder cable connects to an SMA socket; the repeater sends 5V DC through the coaxial cable to power the low noise amplifier (LNA) in the antenna. If a larger area of coverage is required, additional repeaters can be added – all using a single outdoor antenna – by use of a GPS signal splitter and/or a line amplifier. 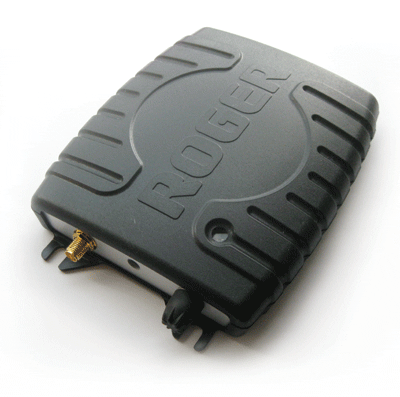 Need an IP67 waterproof repeater? The L1/GLONASS repeater comes in standard (IP51) and waterproof (IP67) options. For details of L1/GLONASS repeater kits click here.